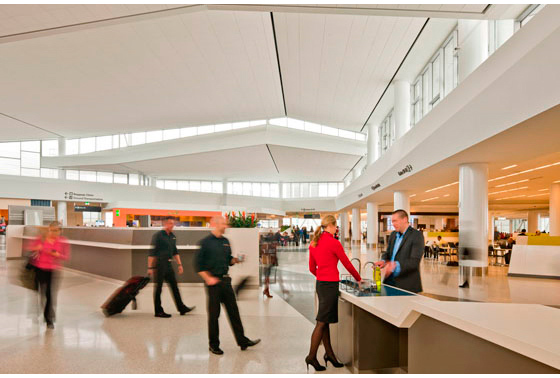 Editor’s Note: A year ago, when San Francisco International Airport announced that it would pursue LEED Gold certification for Terminal 2, Steve Weindel wrote the post outlining our sustainability goals for the project. 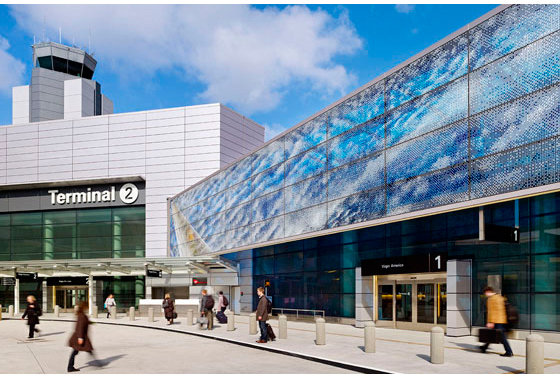 Today, we’re delighted to say that T2 is the first U.S. airport terminal to become LEED Gold-certified, and our original goals are now reality. It sounds impossible given the carbon footprint of air travel, but that’s the goal of the San Francisco International Airport’s new Terminal 2: to make the world a greener place. It is the first LEED Gold terminal in the United States, but the airport doesn’t see its job as simply building a greener terminal. It’s not enough for the building itself to operate sustainably. The goal is to get people thinking about how they can get involved in promoting a more sustainable way of life, beyond the airport’s boundaries. T2 inspires travelers to think differently about the many ways they can contribute to a more sustainable world. It starts with a simple question: What can you do to reduce your carbon footprint, even while flying? This is just one way that the airport suggests that everyone can be more sustainable. Sure, we hope that travelers really use the hydration stations in the concourse to refill water bottles. But many people who arrive in T2 didn’t think of that. I know I don’t usually travel with a re-usable water bottle—I’m mainly focused on removing any liquids from my bags before flying. But it’s a great idea, one that would save me money and time as I travel. Why not carry a re-usable water bottle while traveling? That’s exactly the kind of idea that the airport sparks in travelers minds. The idea is to tie your own personal experience at the airport to sustainability. The question becomes, “What is your experience of sustainability at T2?” There are different answers to that question for different people. You can imagine one experience for a family headed out on a vacation, and another for a person who works at one of the terminal’s restaurants. Yet each of these people can discover ways to contribute to a more sustainable future, even while in an airport. That’s the legacy that T2 offers people who travel or work within its walls: a more sustainable future. It’s hard to say who loves Steve more, his clients who appreciate his perspective on their challenges and opportunities – or the designers he inspires and challenges and teaches every day as one of Gensler’s firmwide design leaders who mentors teams and designers around the firm in an effort to set higher and higher standards for the firm’s work. Steve has more than 25 years of experience as an architect for airports, office buildings, hotels and other facilities from Miami to San Francisco to Shanghai. 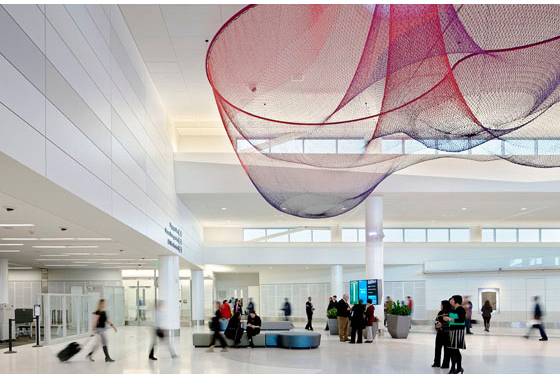 Recent projects include 21st Century Tower for Hines Interests in China, the Mineta San Jose International Airport in California, and the U.S. Federal Courthouse in Hawaii. Contact him at steve_weindel@gensler.com.